If it is Trout or Salmon that you would like to pursue, Angle 45 would be honored to share with you the secrets of our rivers and fish. 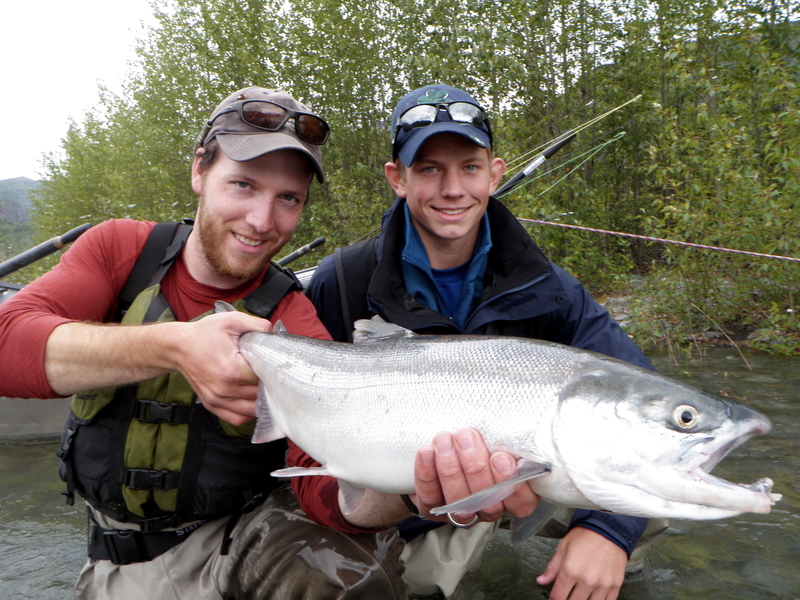 Whether you are hiking or drifting, fly fishing or spinning, a day of fishing is bound to be a highpoint of your Alaskan travels. Whether you are a lifetime fisherman or you have a sudden itch to learn how to throw a fly, you are certain to find our guides, gear and patience are all top quality. 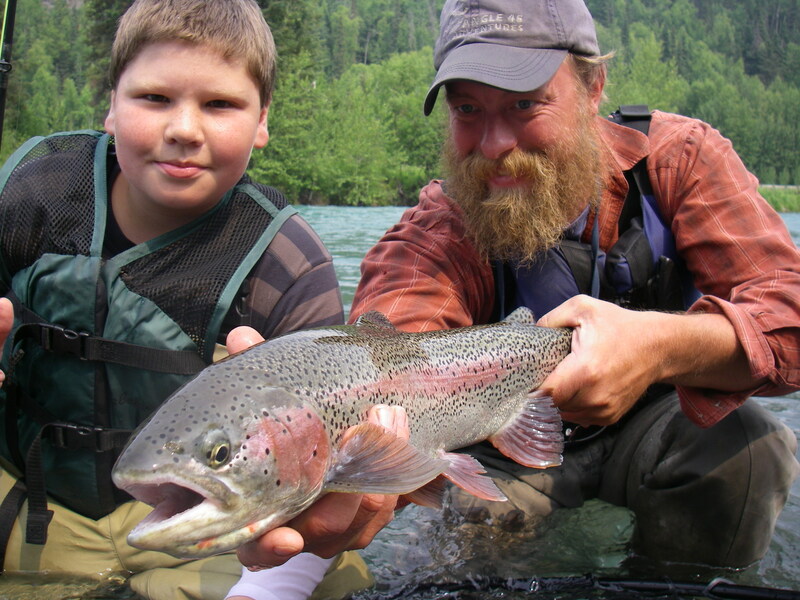 The Kenai River and it’s neighboring waters are known for their abundance of salmon and trout. We will be fishing for Sockeye (red), Coho (silver) and Chinook (king) salmon, Rainbow Trout, Dolly Varden and Steelhead. All fishing gear provided: fly, bait-casting, and spinning rods are all of top quality along with their lightweight tackle counterparts. We also provide a selection of breathable waders. All trips will meet at a selected location, or at the main base camp on the Hope Hwy.